Added project logo in README. Fixed wrong reference to memory MEM (correct is DM. The simulator binary (dlx.x) is now correctly generated. Changed func from 0x06 to 0x09 for multu. Changed func for div (0x19) and divu (0x1A). Newly added files: defines_gdb, modifiers. Added pcount instruction for basic-block profiling. Corrected optimization instruction methods for j, jal, jr, jalr, beqz, bnez. Alternate behaviors for div, divu added. Behaviors for addui, subui have been corrected. Changed behavior of j, jal, beqz, bnez according to what is expected by the binutils DLX port. Fixed issue with jr instruction. New encoding for the halt instruction. Both prefixed (by a dollar sign) and unprefixed symbolic register names should be accepted. Disabled non-standard DLX instructions, along with mvts, mvfs. The standard mult, multu, div, divu opcodes are now used. Testsuite directory removed. The acstone benchmarks should be used instead for the purpose of benchmarking the DLX model. Most integer instruction set functionality has been added. This is the DLX ArchC (http://www.archc.org) functional model. This model has the system call emulation functions implemented, so it is a good idea to turn on the ABI option. AUTHORS List of dlx authors. LICENSE The modified BSD license governs dlx. bp_conf.ac Branch predictor description (only for archc-1.5.1.bp2). defines_gdb Macro definitions for GDB integration. 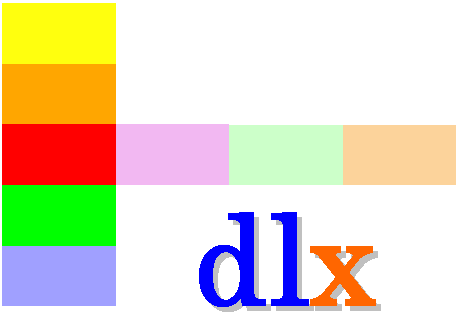 dlx.ac Register, memory and cache model for dlx. dlx.png PNG image for the dlx project logo. dlx_gdb_funcs.cpp GDB support for the DLX simulator. dlx_isa.ac Instruction encodings and assembly formats. dlx_opcode_map.vsd Incomplete MS Visio drawing of the DLX opcode map. dlx_opcode_map.xls Excel spreadsheet containing the DLX opcode map. dlx_syscall.cpp OS call emulation support for DLX. modifiers Instruction encoding and decoding modifiers. The [args] are optional arguments for the application. mult, multu, div, divu instructions have different opcodes to the binutils DLX. Also, div, divu produce a single 32-bit result (the quotient). Probably, rem, remu instructions will be added to produce the remainder of a division. For 64-bit result multiplication maybe a good choice is to provide multl, multlu primitives, for which results are written in two consecutive registers (integer registers). There are no HI/LO registers (I think this is the actual intent in the Patterson book). Multiplication and division DONNOT use the floating-point register file. For this reason, mvts, mvfs instructions are currently unimplemented. Move opcode(BEQZ), opcode(BNEZ) to 0x16, 0x17. Then the 0x01-0x04 primary opcodes would be used for 4 optional coprocessors.